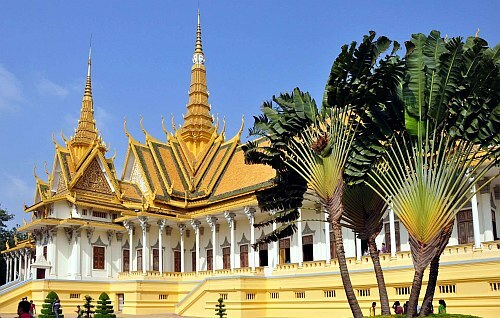 China Southern is showing a flight from Toronto to Phnom Penh, Cambodia for $776 CAD roundtrip including taxes. This is about 30% below the typical best roundtrip prices from Toronto to Cambodia. The flights have 1 stop each way in Guangzhou, China for 3 hours - and are pretty close to as fast as Toronto-Cambodia can be done. China Southern is a step above the other China based airlines out there, and has a 4 star quality rating with Skytrax. toronto, yyz, flight deals, asia, southeast asia, phnom penh, cambodia, pnh and china southern. 2 Responses to "Toronto to Phnom Penh, Cambodia - $776 CAD roundtrip including taxes"
Hi, I tried to book this flight for the dates specified Nov 27-Dec 10 but all the flight options given had two layovers in Washington and Tokyo and total flight time was roughly 44 hours! From your description it sounds like you are seeing the United Airlines / ANA flights, which are now the cheapest flights (but not very good flights, as they have ridiculous travel durations, as you can see). The China Southern flights are still showing on Momondo, but they are $889 now. If you click on 'Best' after your search completes, it will likely show the China Southern flights as being the best deal, considering the travel time.